"Ebenezer Scrooge’s Big Playhouse Christmas Show" is back in New Hope, PA! Last year this show was an absolute hit, so it’s only right to return! Except for this time, it’s better and bigger than ever. 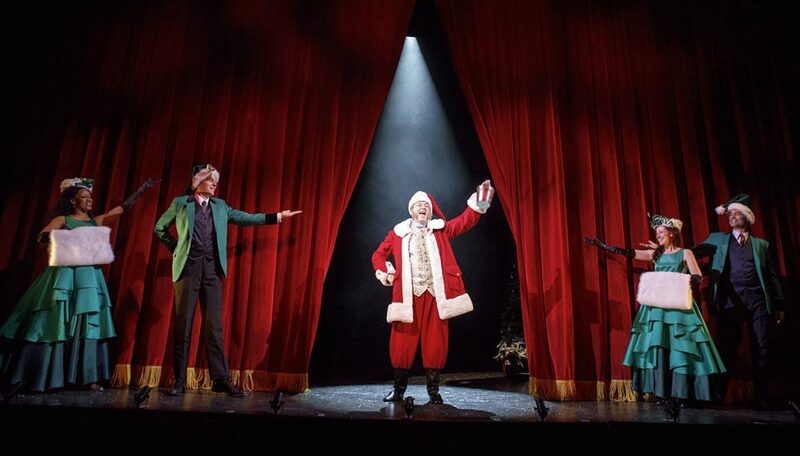 Written by Gordon Greenberg & Steve Rosen, this five actor show is an innovative spin of a classic show featuring the familiar faces of Scrooge and other favorites. Give the ultimate gift this Holiday season to a Christmas Carol fan that will never be forgotten! “Scene-stealers” at the Bucks County Playhouse get the ultimate backstage experience. The exclusive package includes the opportunity to sit and watch the performance with the audience up until it’s time to get backstage. Also included is a two-hour workshop to learn and rehearse their roles with a backstage tour of the Backs County Playhouse. Invoke your inner Scrooge! To finish off, there will be an opportunity for a ‘put-in’ rehearsal on the main stage with the cast right after you take in the theater dressing room with the rest of the cast. From the backstage to the audience, the “Ebenezer Scrooge’s Big Playhouse Christmas Show” is sure to bring out the Holiday spirit in you and your family!